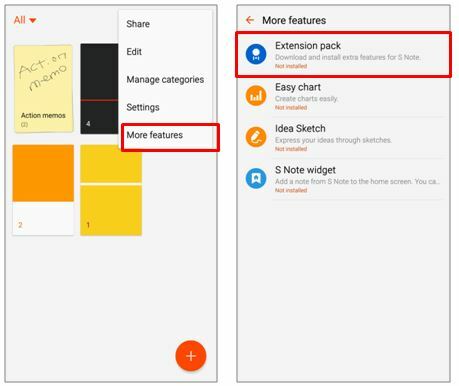 Galaxy Note5: What is a downloadable extension pack for the S-note application? The Galaxy Note 5 comes by default a simplified user interface for the S-Note application. Only some main options are available. S-note into a full featured one. Tap on more option -> More Features -> Select Extension pack.